Rhode Island personal injury lawyer, David Slepkow who can be reached 24/7 at 401-439-8372 is now reviewing hernia mesh claims on behalf of injured victims. 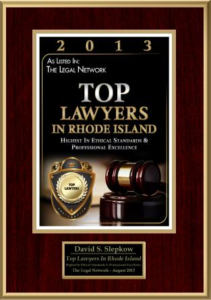 David Slepkow is also a Massachusetts injury lawyer. 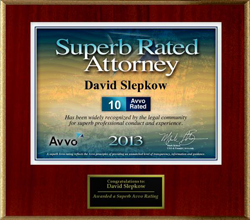 David is a partner and owner of the venerable law firm of Slepkow Slepkow & Associates, Inc established in 1932. Contact attorney David Slepkow to get more information concerning: hernia mesh lawsuit settlement amounts. David is reviewing the following cases: Ethicon Physiomesh™, Atrium C-QUR, Composix® Kugel® mesh patches (manufactured by C.R. Bard subsidiary Davol), all C.R. Bard mesh patches made of Marlex polypropylene. David provides the following information concerning Hernia Mesh litigation. What types of complications, pain and suffering and injuries can result from defective hernia mesh? 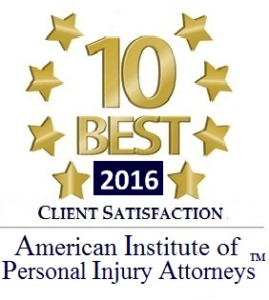 What types of Hernia Mesh Claims is David Slepkow reviewing on behalf of injured victims? Ethicon corporate law firm, Butler and Snow asserted in a correspondence to me on February 6 , 2016 that “The removal of Physiomesh from the United States market was classified by the U.S. Food and Drug Administration (FDA) as a Market Withdrawal, not a recall. The inaccuracy of your statement may be due to your mistaken reliance upon the classification of the Market Withdrawal as a recall by foreign regulatory bodies that have different definitions for such actions under local regulations.” see letter to left. The urgent medical device removal letter and the subsequent market removal appears to be a stunning admission of liability on behalf of Johnson and Johnson related to ETHICON PHYSIOMESH. Product liability attorneys and surgical malpractice lawyers who specialize in defective medical device litigation have now commenced the process of holding Johnson and Johnson’s subsidiary Ethicon accountable for their conduct. Rhode Island (RI) and Massachusetts (MA) defective medical device lawyers and product liability attorneys are preparing litigation to get justice and accountability for injured and suffering victims. A high powered hernia mesh attorney knows how to hold corporate America accountable for their malfeasance. 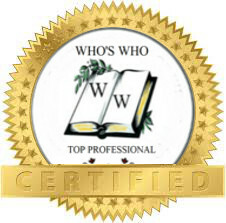 Many injured victims are searching google seeking information with the following types of searches “ethicon physiomesh flexible composite mesh“, “ethicon physiomesh”, “physiomesh complications”,”ethicon physiomesh 2016″, “hernia mesh lawsuit”, “surgical mesh class action lawsuit”, “hernia mesh lawsuit settlements”, “hernia mesh lawyers”, “hernia mesh surgery”. There is no average hernia mesh settlement amounts. It is important that a victim learns what you need to know before filing a hernia mesh lawsuit. Victims may have hernia mesh pain years later. The factors needed to determine a fair hernia mesh settlement 2018.